Serge Strosberg, The Muse", 50 x 45 in., oil and egg tempera on canvas, 2011. ANTWERP.- Serge Strosberg, The Expressionist of Fashion an exhibition of recent paintings and his second solo show in Belgium, is currently on view at the Galerie Ludwig Trossaert. In a vibrant expressionist style, Strosberg deconstructs couture on a canvas. He is captivated by the culture of rabid consumerism surrounding tightly packed retail businesses in his neighborhood, SoHo. The show is a profound exploration of materialism, juxtaposing the provocative imagery of high fashion with the gritty, griny streets of Manhattan at night. In his view, the influence of coveted brands like Chanel, La Perla, Louis Vuitton, Dior is so great they are practically revered as idols. These brands reflect the change in our society Strosberg says especially the new generation which feels a lot of entitlement. It feels like it is beautiful and it deserves certain things. Entitlement and an overpowering desire to obtain these beautiful things has led people to imitate the mannequins they see in the windows of these storefronts he explains. The similarities in appearance between humans and these plastic imitations, as well as the strange, circular, mimetic relationship between the two, are concepts that Strosberg explores in his work. Through the use of reflective surfaces, he uses storefront displays as a metaphor for the shifting values of our generation. He draws a number of parallels between devotees of fashion and members of religious cults, also comparing the glass casings of storefront displays to the stained glass windows found in churches. By working with models and the imagery of high fashion, Strosberg seeks to challenge his own Expressionist and humanistic philosophy. He uses subject matter seen by society as vapid and self-centered, but paints it in a style that is more concerned with substance over form. It emphasizes the content of the persons soul rather than the outward appearance. In this way, he gives the expressionless expression, and the lifeless life.  I think a good name for me would be the expressionist of fashion he says. It is almost a paradox, you know? Models are not supposed to have expressions and I am doing the opposite. I am giving them a voice. Born in Antwerp and living in New York since 2007, Serge Strosberg received a B.A. from Grinnell College (U.S.A.) and a degree in Graphic Design from Academie Julian with honorable mention (Paris, France) where he was trained in photography by Peter Knapp, the artistic director of Elle magazine. He learned how to master the difficult and beautiful technique of oil and egg tempera under the council of German expressionist painter Joerg Hermle. 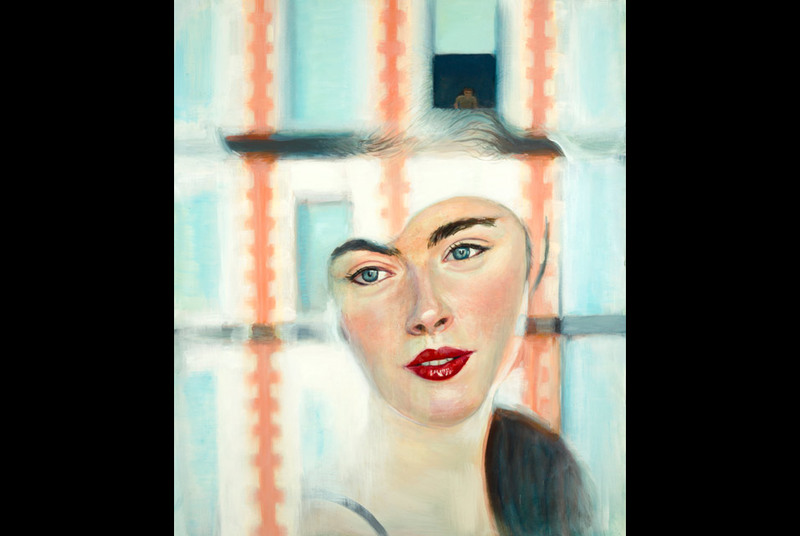 Strosberg has exhibited with major artists (Lucian Freud, Philip Pearlstein, Soutine) in several Museum group shows. Widely collected, he has shown in China, Europe and the U.S.A, since 2001. His work is in the collections of the Felix Nussbaum Haus (Osnabrueck, Germany), the Himalayas Art Museum (Shanghai, China), The Musee de Pontoise (France), the Palm Beach Federal Courthouse (Florida), The Jewish Museum of Belgium (Brussels). Strosberg received the Boechout prize in 2001, and a green card for extraordinary ability in the field of arts from the U.S. adminsitration, and done residencies in Florida (The Lighthouse Center for the Arts) and China (Zendai Art Museum, Shanghai, Zhu Jia Jiao branch). The current exhibition will remain on view through December 24, 2011 and is accompanied by an on-line catalogue (click the links to view).